This outfit is from my HOME OFFICE TOUR blog post. All outfit details are listed there. 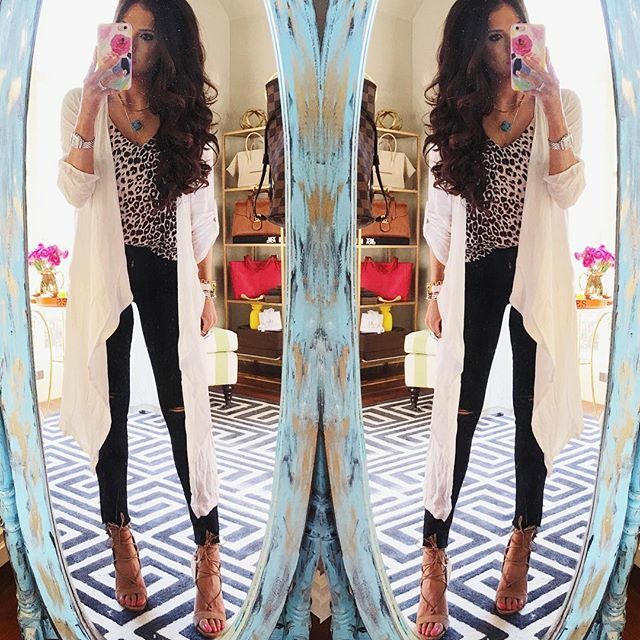 This cardigan is a favorite of mine for the spring & summer – its white and very lightweight so it looks good thrown on top of anything! I snapped this yesterday afternoon while out running errands – I love the TB espadrilles. These go with everything. Highly recommend this tunic – I’ve got it in a few colors – I wear it SO often (under $30). 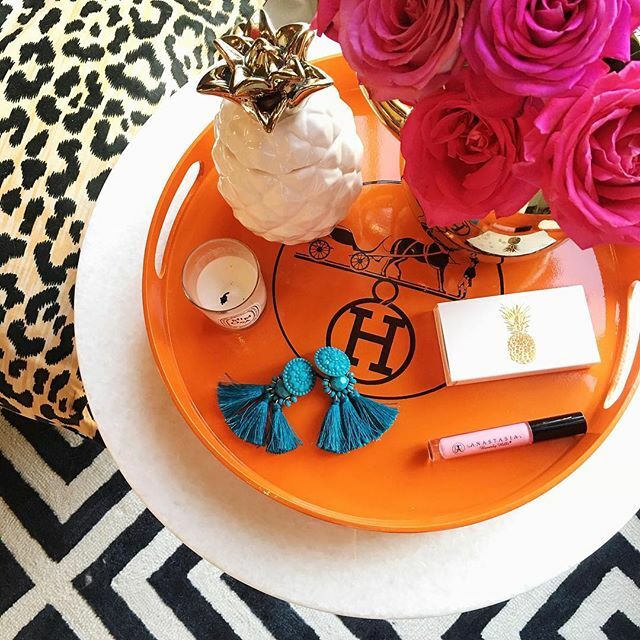 My Hermes tray was custom made. 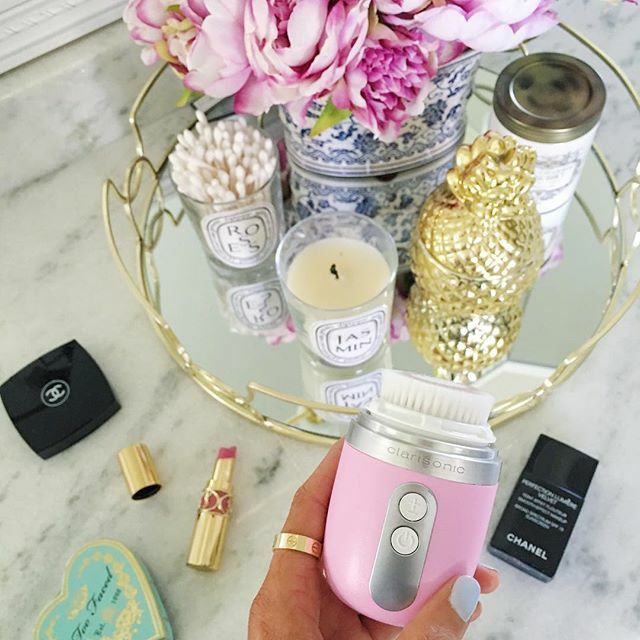 I love love love this tiny Clarisonic Mia. It’s small and much easier to pack! If you are looking for peonies in the Tulsa area, try the Fresh Market, Whole Foods, or the Farmers Market! (I’ve received a ton of questions about my peonies.) 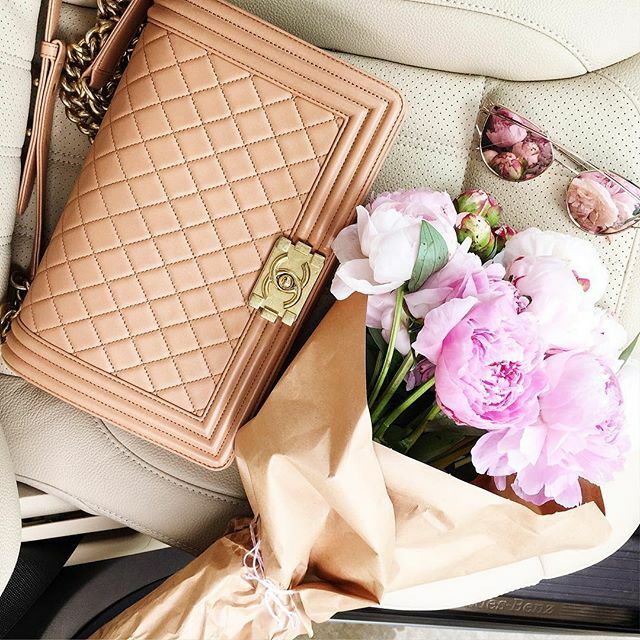 My handbag is the large Chanel Boy – similar styles HERE & HERE. My Snapchat friends recommend this candle for the kitchen and it is SO SO good. FULL BLOG POST ON THIS OUTFIT HERE. Full blog post on WHATS IN MY BAG here. We snapped this on National Pet Day… (I think?!) lol. Fitz and I went to see John at the hospital! Marble Details & Lamp via Shop Rachel George | Hermes Mouse Pad via Etsy (no longer there) | Big White Mirror behind desk is HERE. Full blog post on my office HERE. Similar and more affordable tops here & here. 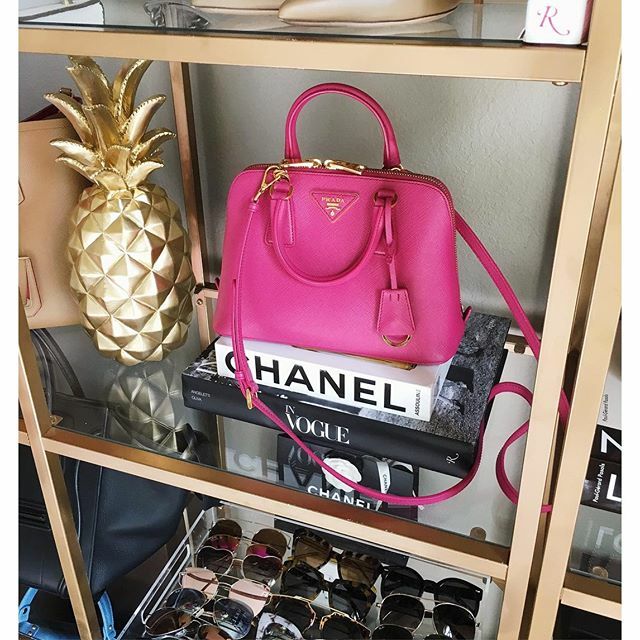 Full blog on where to find look – a – likes HERE. 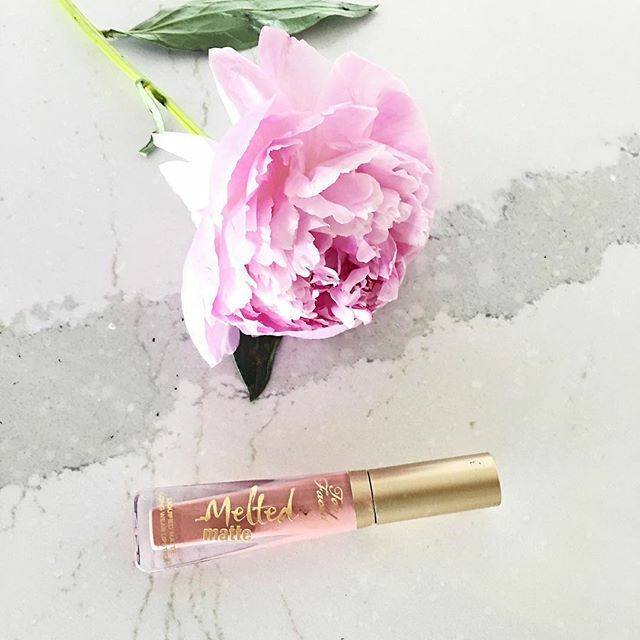 Loving this formula – it’s in shade ‘Child Star‘. 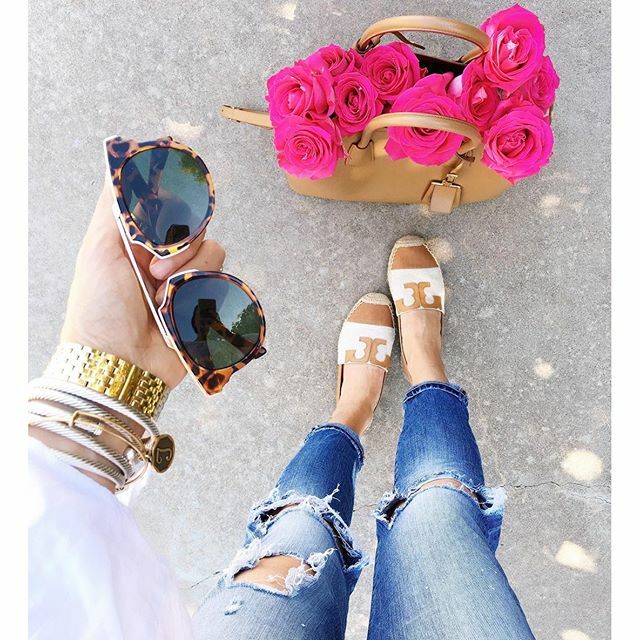 So many pretty Instagrams and outfits! I'm loving all the bright colors for the warm months! I really love everything! I need to get some fun dresses and sandals for my July trip! Amazing roundup!!! Love your feed girl! Que maravilla de fotos. Me encanta tu casa!!! 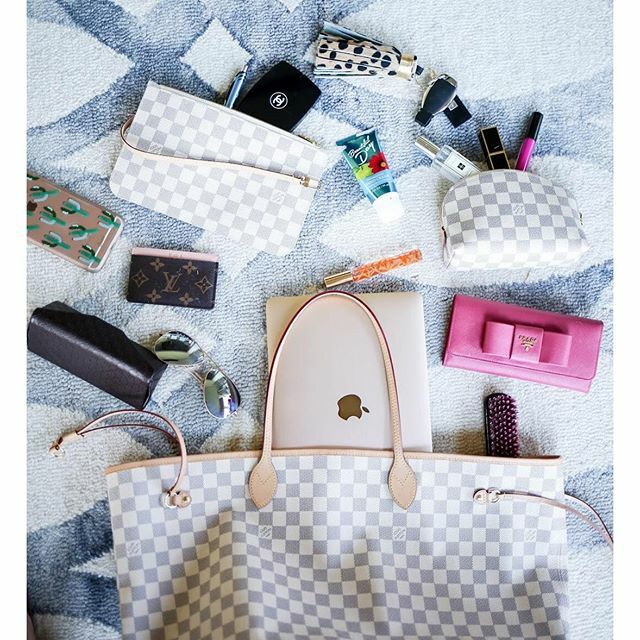 I recently received the Louis Vuitton Neverfull GM bag as a gift for Mother's Day! I LOVE IT. Now I see why you have a couple! 🙂 always enjoy your blog and Instagram posts. Maybe one day we will be able to meet!! 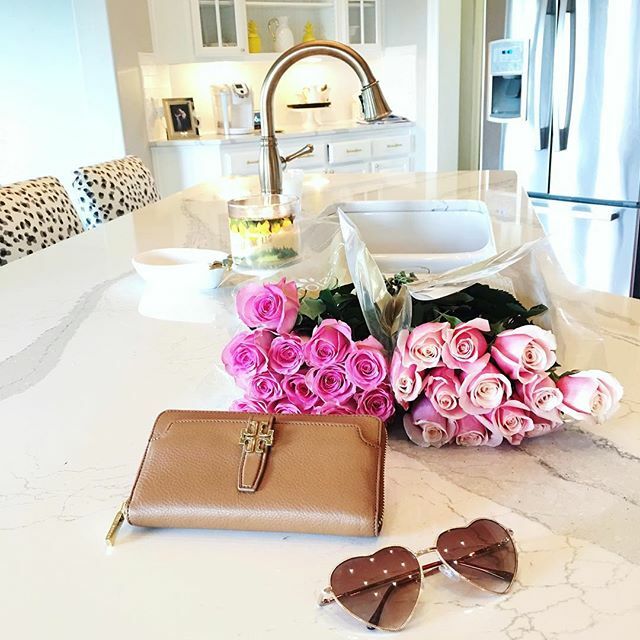 Your instagram feed and style is so inspiring! 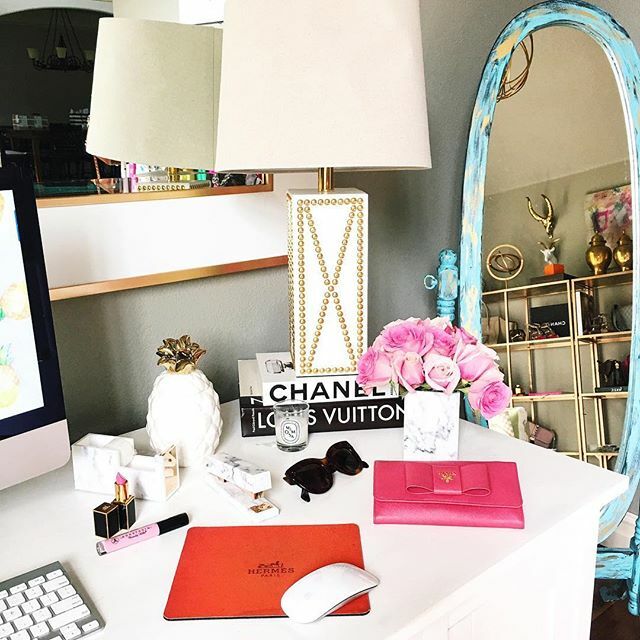 Love your office set up and all of the outfits! 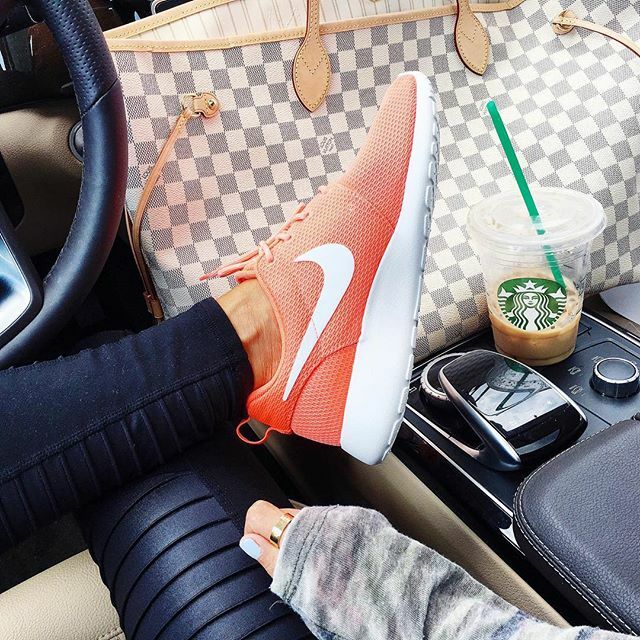 love this insta round-up! 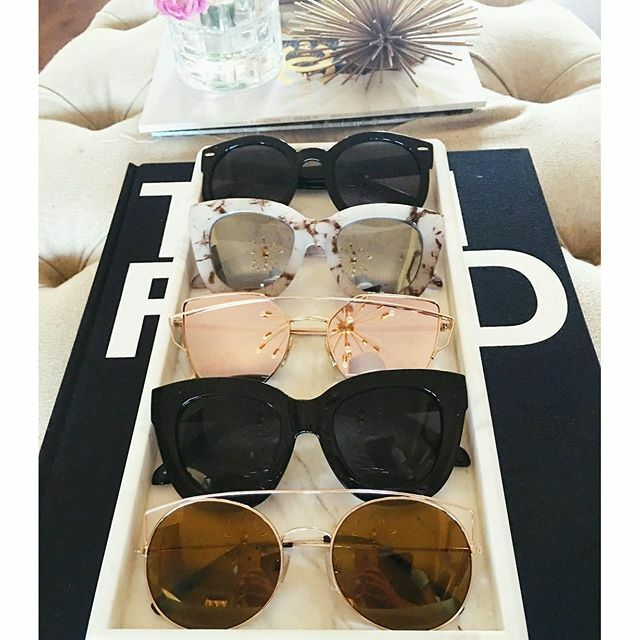 your sunglasses collection is so great! 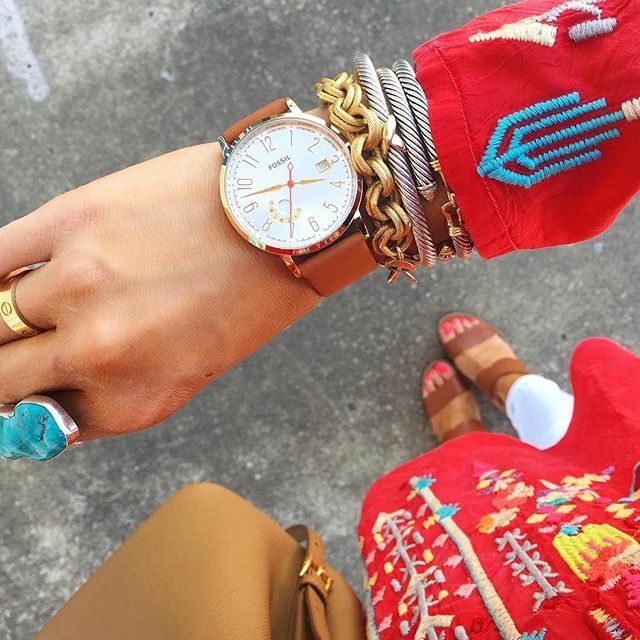 Such a gorgeous round-up, Emily! Now I just wish all these things would magically appear in my wardrobe. So many super cute outfits!